Traditional yet updated, the Edgartown Landing sofa table adds character to any space. 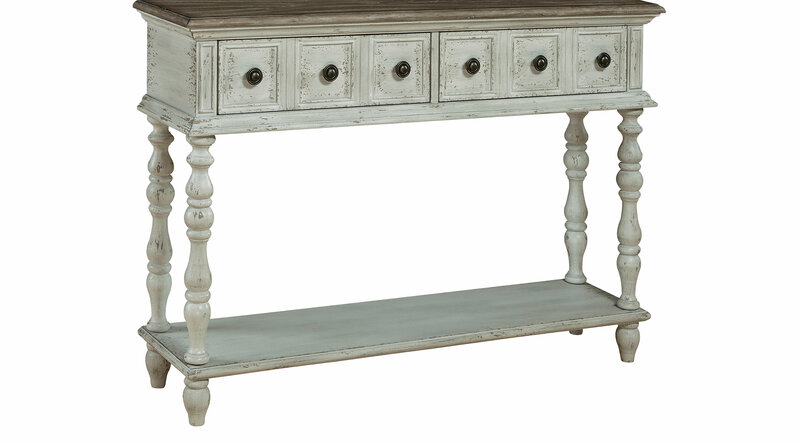 A weathered tan finish gives it timeless appeal and is complemented with a distressed wood-tone top and turned legs. Its two drawers look like six, each with their own decorative aged-brass pull. The lower display shelf adds functionality while conveying its overall feeling of openness.